Authorities have arrested two men suspected of trafficking cocaine, heroin and meth disguised as brand-name chocolates in a bust that splits the difference between Willy Wonka and Walter White. The King County Sheriff's Office said one of the two men, an unidentified 46-year-old, was arrested at a motel in Kent, Wash., earlier this year. The other man was arrested in Juneau Alaska, according to a statement. Investigators discovered the local man, who was holing up in motels across the country, was allegedly a key narcotics supplier to street-level dealers in North Seattle, Edmonds and Shoreline, the statement said. The suspect was also sending packages by mail to Juneau. 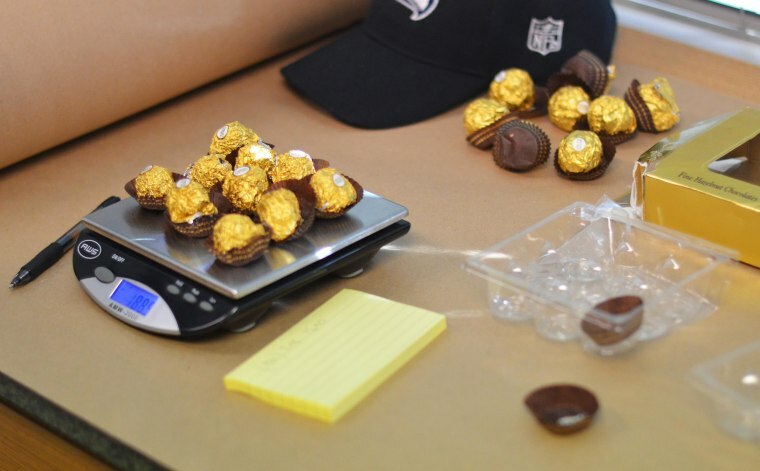 Detectives intercepted one of those packages, and discovered it contained narcotics that had been "formed and disguised as commercially made chocolates," the statement said. The investigation allegedly uncovered roughly 745 grams of heroin, 135 grams of methamphetamine, 90 grams of cocaine and 300 grams of ephedrine, according to the statement. The case is ongoing and is being handled by the law enforcement arm of the U.S. Postal Service, which worked with the sheriff's office and the Juneau Police Department to make the arrests.